Lindroth, President of Lindroth Development Company, is a Nassau based community creator whose projects emphasize sustainable architectural patterns as a means of addressing modern ecological challenges and preserving local cultural identities. Lindroth was born in Sweden but grew up in The Bahamas where he attended St. Andrew’s School in Nassau. He later graduated from the London School of Economics and Political Science with an Honours degree in Economics. 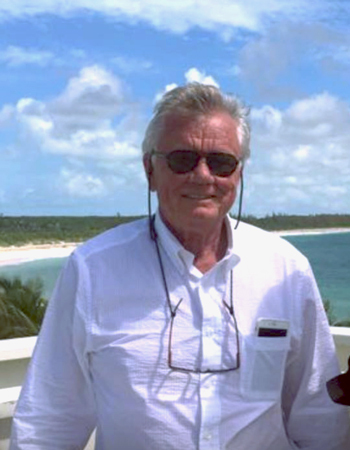 Orjan returned to the Bahamas in 1993, where he has developed several successful properties, including Old Fort Club and Islands at Old Fort, as well as producing A Living Tradition, the first Bahamian architectural pattern book. Lindroth is part of a team of Bahamian pioneers that recently completed Schooner Bay, a village in South Abaco that is setting new benchmarks for thoughtful, sustainable development. He believes that The Bahamas can play a leadership role in the 21st Century by showing how sustainable living can enhance the cultural, environmental and economic health of island communities. Orjan lives in Nassau with his wife, Amanda, an internationally known and frequently published interior designer. She is former President of The Historic Bahamas Foundation and a current board member of the Bahamas National Trust. Lindroth commissioned Planning Abaco, a Congress for the New Urbanism Charter Award-winning planning study carried out by a multi-national team that consisted primarily of faculty and students from Andrews University in the US.